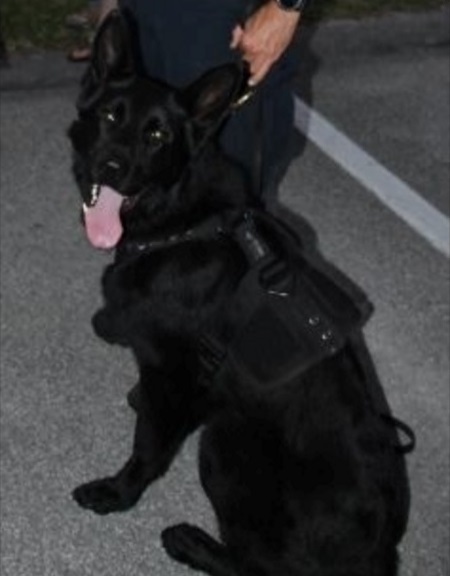 MELBOURNE, Florida - The State Attorney’s Office for the 18th Judicial Circuit notified the Sebastian Police Department that it has decided to file criminal charges against Officer Eric Antosia who left his K-9 in a hot patrol car. The police dog died after being left in the patrol car by his handler outside the Brevard County Courthouse in Melbourne, Florida on Friday, April 28, 2017. According to the National Weather Service in Melbourne, temperatures climbed to a high of 88 degrees Fahrenheit that day. Ofc. Antosia is being charged with Cruelty to Animals, F.S. 828.12 (1), a first degree misdemeanor. Ofc. Antosia is being placed on administrative leave without pay effective immediately pending the final outcome of the criminal case which is standard procedure in such situations upon the filing of formal criminal charges. In accordance with Florida law, the Sebastian Police Department has held the finalization of any administrative investigation (internal affairs case) in abeyance until the conclusion of the criminal prosecution. Once the criminal case is finished, the administrative investigation will be completed.